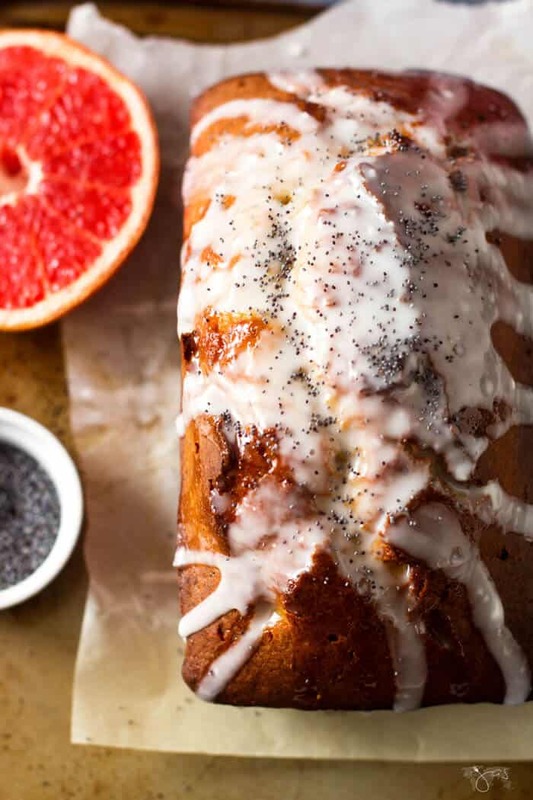 Save this grapefruit pound cake recipe for when you need an excuse to eat cake for breakfast. With grapefruit and yogurt, it’s practically a parfait! No judgment here if you eat it in the a.m. I did. I lay in bed this morning unwilling to move my body but my mind was racing a thousand miles an hour. It pondered about all the things I didn’t finish yesterday, the things I have yet to do, and the food. It’s always the food. It brings you comfort when you’re stressed out, the thrill when you’re celebrating, and the satisfaction when your mouth is just plain bored. 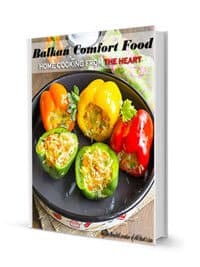 Sometimes I wish I hated the food like I used to growing up, but that would also mean the end of these pages. And thus food and I continue this hate-love relationship. I hate that I love it now so much. I finally put my feet on the cold floor and dragged myself to the kitchen. Behind the window, spiteful flurries danced in the air. The coffee in my French press, usually so uplifting, needed reinforcement. There was a piece of grapefruit pound cake left in the fridge, I recalled. Screw you, spring, with your low temps and snow, I said out loud grabbing the cake and retreating to my bedroom. Back between my still warm sheets, I retired my thoughts and completely surrendered to this citrusy and moist pound cake. It was like aromatherapy. Citrus has powerful effects on our health and it can boost our mood. Venezuelans use the ruby red grapefruit for even more concentrated flavor, but the local grapefruit made me happy just as well. I know later tonight I’ll be finding fugitive poppy seeds in my bed but it’s worth it. That was the best breakfast in bed I had since the French lemon yogurt cake. The pound cake can be baked and glazed three days ahead. Substitute vanilla with orange extract for an extra citrus kick. Line an 8×4-inch loaf pan with parchment paper, leaving an overhang on the long sides; lightly coat with nonstick cooking spray. In a large bowl, mix together the sugar and grapefruit zest until mixture is very fragrant, about 1 minute. Add eggs, oil, and vanilla and beat with an electric mixer on high speed until light and thick, about 4 minutes. Reduce speed to low and mix in half of the dry ingredients, then mix in yogurt. 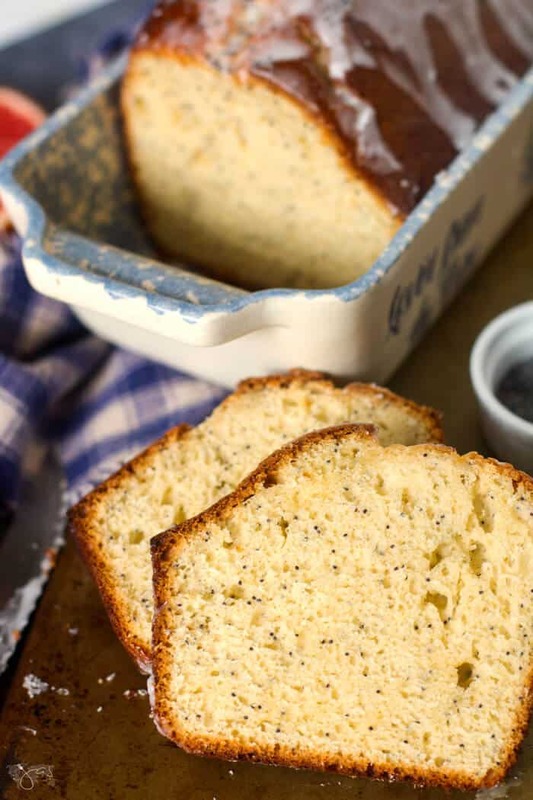 Mix in remaining dry ingredients followed by 5 tablespoons grapefruit juice and 1 tablespoon poppy seeds. Scrape batter into prepared pan. Bake until top is golden brown and a tester inserted into the center comes out clean, 50–60 minutes. Transfer the pan to a wire rack. Poke holes in the top of cake and brush remaining 3 tablespoons grapefruit juice over top. Let sit 10 minutes. Run a knife around sides to loosen and use parchment paper to lift the cake out of the pan and onto a rack. Remove parchment and let cool completely. Whisk yogurt, water, and powdered sugar in a medium bowl until smooth and drizzle over cake. Sprinkle with poppy seeds if desired and let sit until glaze is set, about 30 minutes. 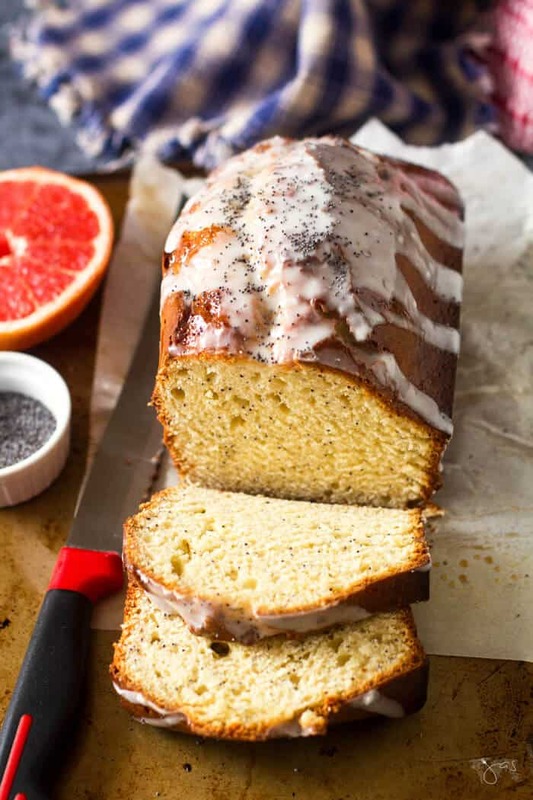 Citrusy and moist, this Venezuelan grapefruit pound cake with poppy seeds and the yogurt glaze is refreshing and light making it perfect for breakfast, dessert or a snack. Line an 8x4-inch loaf pan with parchment paper, leaving an overhang on the long sides; lightly coat with nonstick cooking spray. 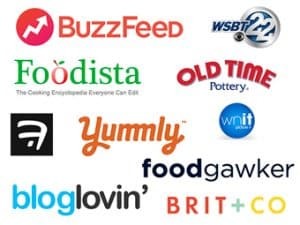 Featured on: Finding Silver Pennies, Oh My Heartsie Girl, Reviews, Chews & How-Tos, My Purple World, Being a Wordsmith, Pieced Pastimes, The Cottage Market, Scrapality, and Happily Homegrown. Jas this pound cake is incredible! I love anything citrus, I don’t know why I never thought to use grapefruit! I definitely need to make this! Thanks, Lisa! I keep thinking about strawberries in your pound cake. I’ll trade ya, LOL. I knew this was yours! You did pound cake, I did upside-down cake…we need to have a cake party 😉 I think the idea of using grapefruit is so cool! It sounds perfectly refreshing for the spring! Thanks! I love grapefruit so eager to try this. 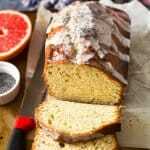 Have never seen a grapefruit quick bread. Visiting from Happy Now party. Wow, this sounds wonderful. Thanks for sharing on To Grandma’s House We Go! Jas, did I say that you write so well? When I am reading your post, it’s like that I am reading a very good book. Not kidding here! And I am also not kidding when I tell you that I love the sound of this cake and I don’t mind having this for breakfast with black coffee. I must also mention that I love your baking pan – it is so gorgeous! Thanks for bringing this at Fiesta Friday party. I hope you’ll have the chance to chat with other partygoers, too. Have a lovely weekend, Jas. Happy Fiesta Friday! Awe, thank you from the bottom of my heart, Jhuls! That is the nicest thing anyone has told me and it means so much because I still struggle, as English is my third language. It’s not that much different than using lemons or oranges, really. 🙂 Hope you’ll give it a try! Thanks for stopping in. Definitely pinning this recipe to try it out. I love grapefruit so this sounds yummy! So glad you like it, Donna! I’m quite a fan too 😀 Thanks for stopping in! 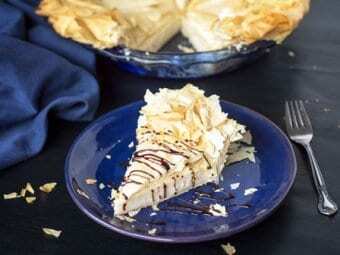 I just pinned your awesome recipe, this looks great! Hope you are having a great weekend and thanks so much for sharing your with us at Full Plate Thursday!